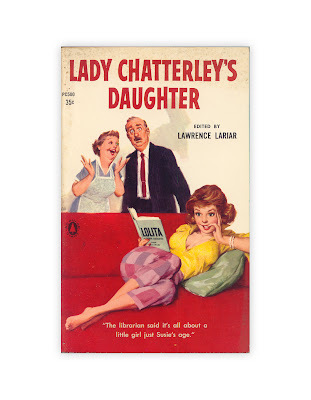 "Lady Chatterly's Daughter" edited by Lawrence Lariar. Published by Popular Library, 1960. Here - complete and unabridged - is a cartoon life story of the modern American female, who knows and does more about being a woman than a certain literary Lady ever dreamed of. Oh I love this! I am a child of the 60's and this seems like just the kind of thing someone would see. haha, this is solid gold! Cute! That'd be an entertaining read.